Why can't I hear sound on the iPad app? Learn how to ensure that your device can play sound in Education Perfect. If you're using the latest version of the Education Perfect iPad app and you're unable to hear sounds, there are a few things you can do that might help. 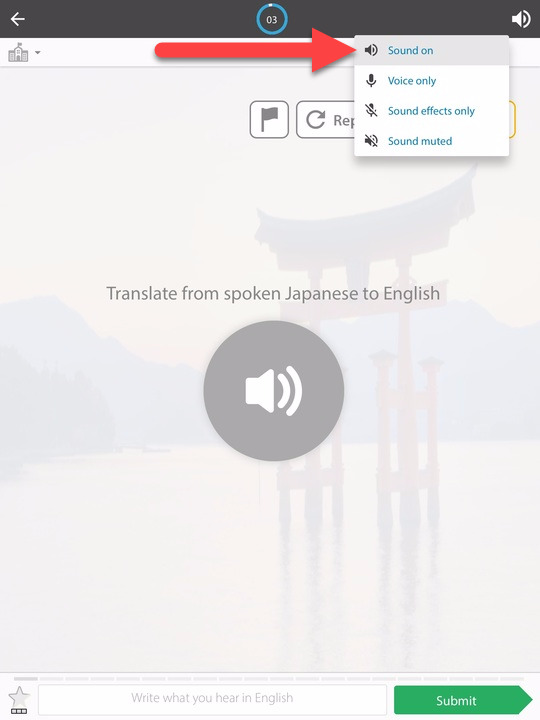 Inside of an activity, tap on the sound icon and select Sound on in the drop-down menu. Press the volume-up button on the right-hand side of the iPad and ensure that the sound isn't turned all of the way down. If your device has a side switch that is bound to the mute function, ensure that it is switched off. Swipe up from the bottom of the screen to open the Control Center and ensure that the iPad isn't muted by tapping the bell icon. 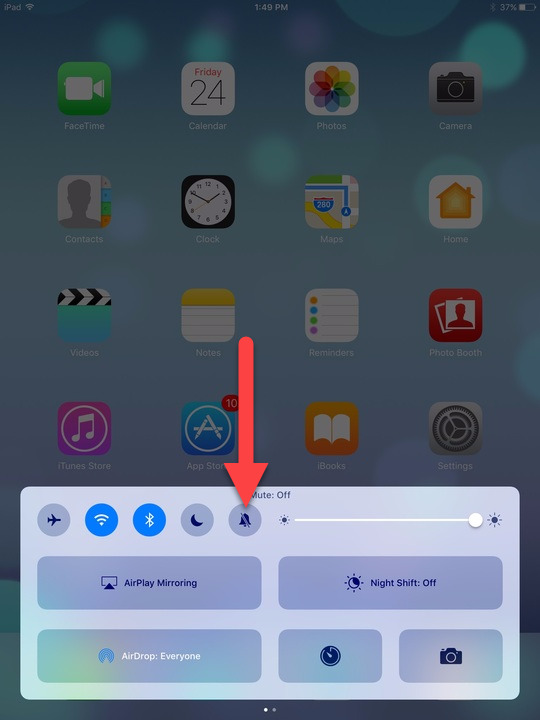 If the app has been open for a long period of time, force-quitting the app from the app-switcher or restarting the iPad might fix the sound issue. Sometimes you might have a lot of apps that are still running in the background which can eat up a lot of their processing capability. It's a good idea to close those so that they're not processing and updating in the background. If none of these solutions work, send an email to support@educationperfect.com with your username, device and browser details and a brief description of the issue you're experiencing and our Customer Support Team will be able to investigate further. Education Perfect may not run smoothly or reliably on older devices; we support the iPad Air and later full-sized iPads, as well as the iPad mini 2 or later.